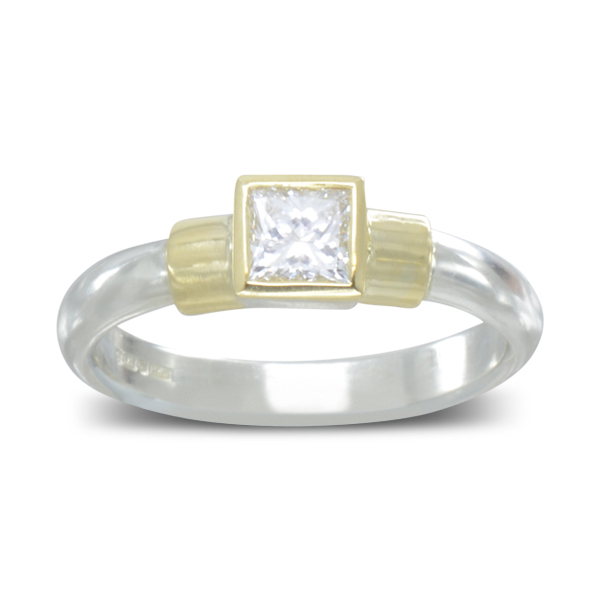 Princess Cut Diamond Two Colour Ring. 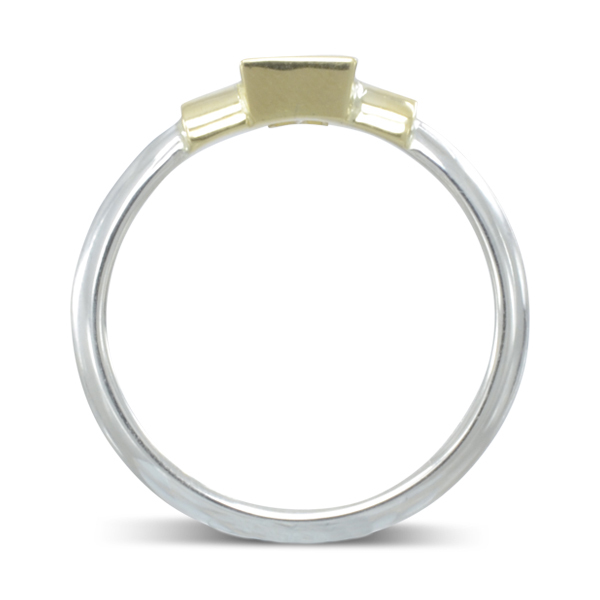 A 3mm court section platinum band with 18ct yellow gold shoulders. 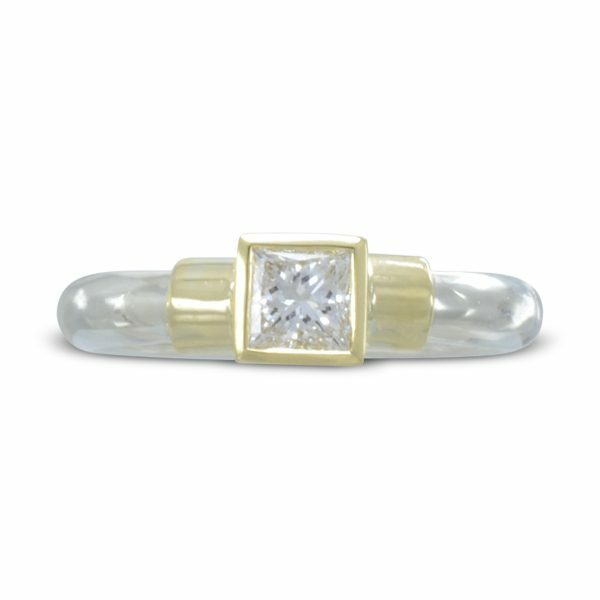 An 18ct yellow gold rub over setting shows off this o.5ct princess cut GIA certified diamond.